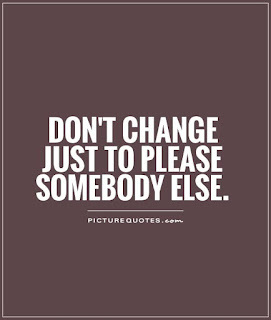 Don't Change Who You Are To Please Someone Else - Something New Everyday! You can never be happy as some ones other half unless you can be happy as a whole all on your own. 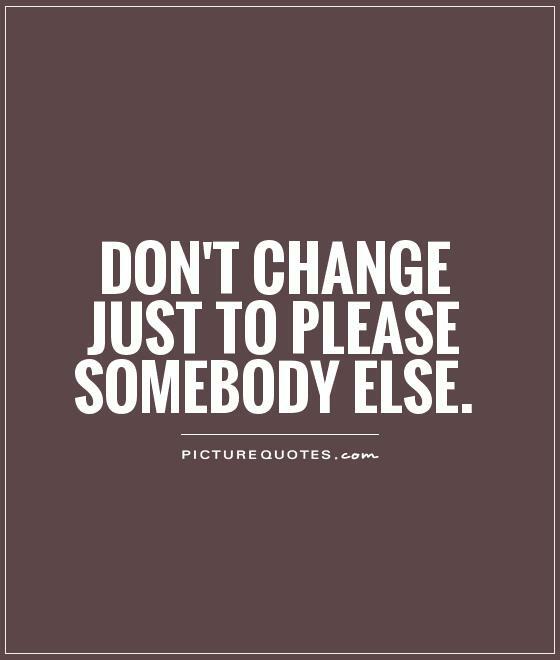 Never change or fear being yourself, and never compromise in being true to who you are within for the benefit of someone else. Maintaining integrity throughout your life is key to thriving and living a triumphant life. Only those with real strength, are able to really embody and live as their true selves in every moment. Those who are able to do so live from within first, instead of trying to present an image on the outside to attract others. The people that are genuine in your life will always recognize when you are living with integrity and will always steer this glorious path. They will never ask you to or encourage you to compromise who you are as a person in order to see some sort of gain. Because they understand whatever you gain from doing so wont add any real value or substance to your life.